"They could have died in these carriers." When a man from a gas company arrived at an empty house in East Orange, New Jersey, this week, he found a large blue tarp in the garage — and there were sounds coming from beneath it. Mike lifted the tarp and found pet crates bunched together. 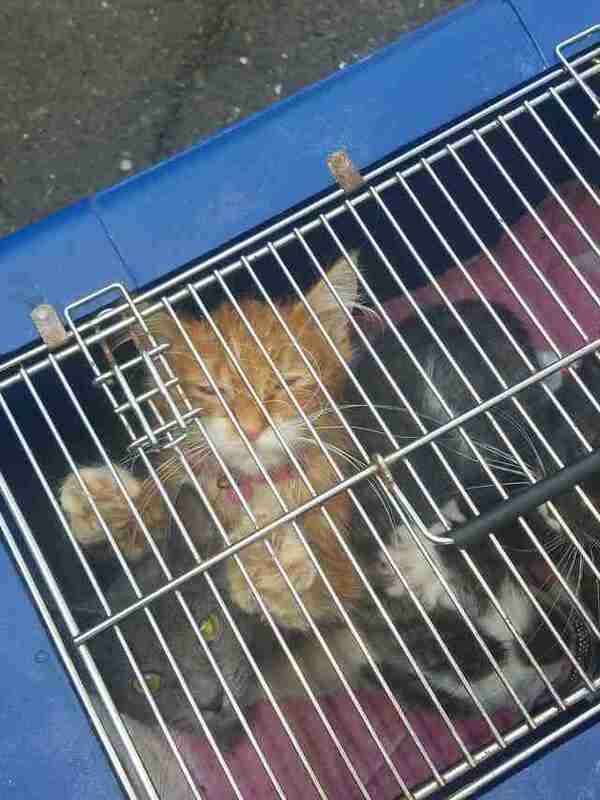 The nine cats and kittens inside them were crying out for help. Some were crowded together in a single carrier — there were only five carriers — and they reeked of urine. The cats were so hungry, they couldn't stop meowing. So Mike knew he had to help. He rushed to buy them some food, which they ate up ravenously. 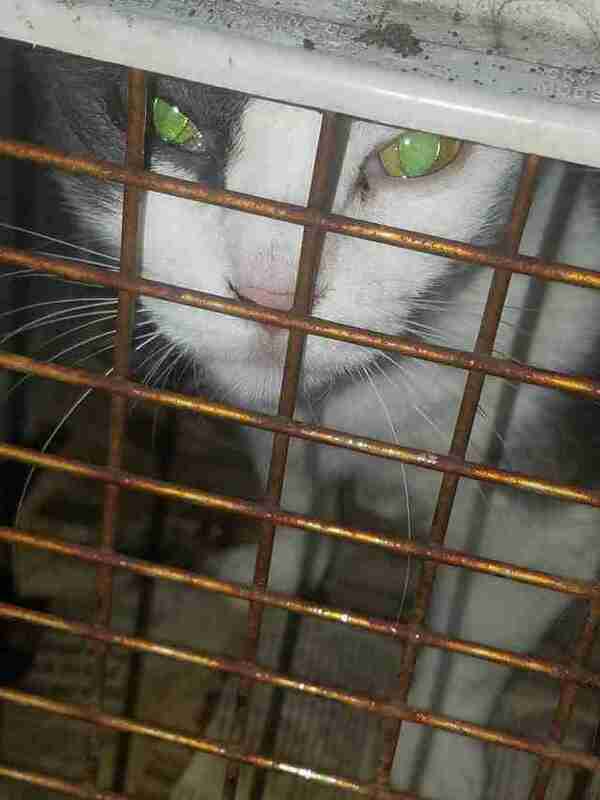 And he contacted Miss Pat's Cats, a rescue organization in East Orange. 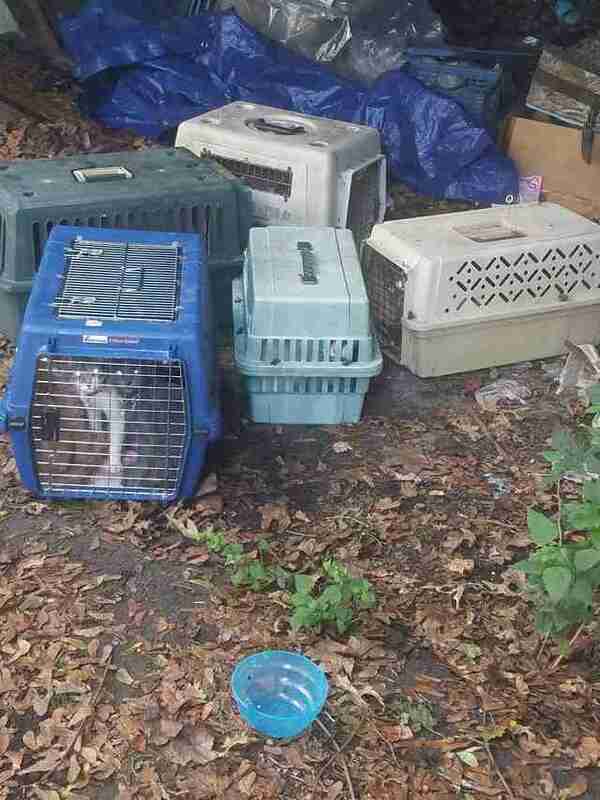 Patricia Andrews-Webb, the founder, rushed to meet Mike and save the cats. 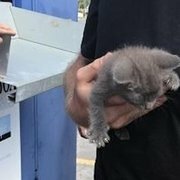 "I met him at the location, we loaded up the cats in my car and he drove with me to my foster who said she would hold them until we can find rescues/fosters or adopters for them," Andrews-Webb told The Dodo. "They are all extremely friendly!" No one knows why the nine cats were just abandoned there, especially since they look like they had been cared for until recently. 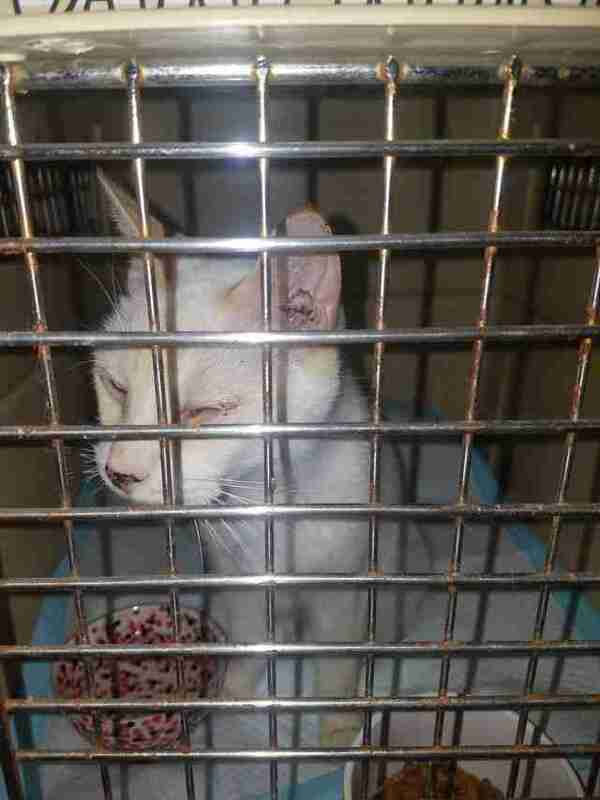 Just one Siamese cat has runny eyes, probably from an infection that will need treatment. Andrews-Webb scrambled to find temporary fosters for the cats until she could figure out a longer-term solution. 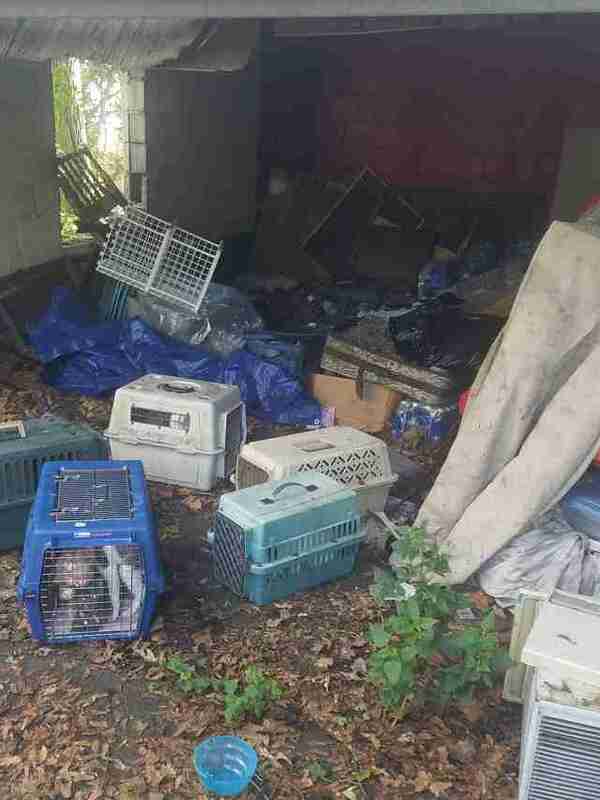 Luckily, St. Hubert's Animal Welfare Center in Madison, New Jersey, agreed to take the cats and kittens and help them find homes. It's unthinkable to imagine what would have happened if Mike hadn't arrived at that house. And he told Andrews-Webb something amazing. "He wasn't even supposed to read that meter," she said. "God sent him there. Had it been someone else, they could have died in these carriers." To inquire about adopting one of these rescued cats and kittens, you can contact St. Hubert's Animal Welfare Center. You can also donate to Miss Pat's Cats to help support its rescue work.